We regularly hear (and say) buzzwords like big data, AI, Internet of Things (IoT)—but the modern day individual might not realize just how much data they use and collect every day. Think about how many apps you use for to-do lists and messaging programs, your daily exchange of videos and pictures, or all of your work and personal devices. Even tech professionals might not stop to think about the staggering amount of data in the world. According to recent reports by the IDC, the global datasphere stands at 33 zettabytes (ZB), which is expected to grow to 175ZB by 2025. To put that in visual terms, David Reinsel, senior vice president at IDC, explains that if you stored that on Blu-ray discs, the stack would reach the moon, 23 times over. According to the Cisco Global Cloud Index, by 2021, 94 percent of workloads and compute instances will be processed by cloud data centers, meaning all but 6 percent of our data will be on the cloud. 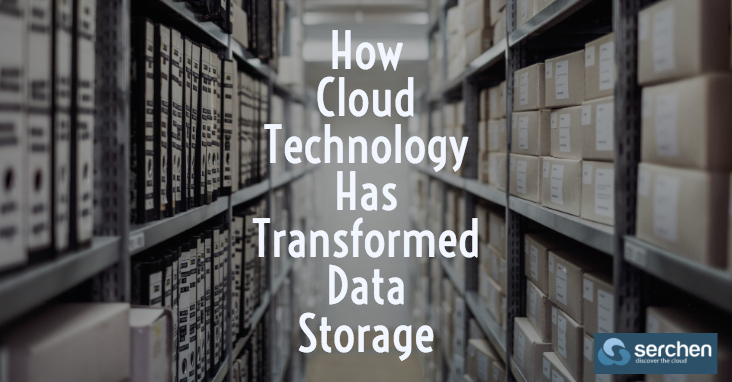 As we create, save and access an enormous amount of data every day, we take for granted just how far cloud technologies have changed both personal and professional data storage. Let’s dive into the evolution of everyday data storage in the face of the cloud, and how it has changed our lives as we know it. For the vast majority of us, the days of buying external storage, or bulking up local systems for storage are far behind us. The amount we’re willing to pay regulates our level of storage, (typically via subscription). Many of us also hedge our bets across multiple accounts and cloud storage services for free-tier access. The impacts have radically changed data storage for consumers, but not necessarily reduced the risks of data loss, orphaned data, or service disruption when a given cloud provider changes their policies for storing your information (Google+ being the most recent example of policy change). Services such as Apple’s iCloud also span mobile and desktop platforms, offering a somewhat consolidated landing zone for the data we create between our various devices. Of course, as with any multi-device storage system, some kinks still need to be worked out.